“Deeply researched, tightly argued, and accessibly concise” (The New York Times Book Review)—a major retelling of the Suez Canal Crisis of 1956, a seminal event in the history of US relations with the Middle East, and why President Eisenhower sided with Egypt rather than Britain, France, and Israel, and how he came to regret that decision. In 1956 President Nasser of Egypt moved to take possession of the Suez Canal, thereby bringing the Middle East to the brink of war. The British and the French, who operated the canal, joined with Israel in a plan to retake it by force. Despite the special relationship between England and America, Dwight Eisenhower intervened to stop the invasion. 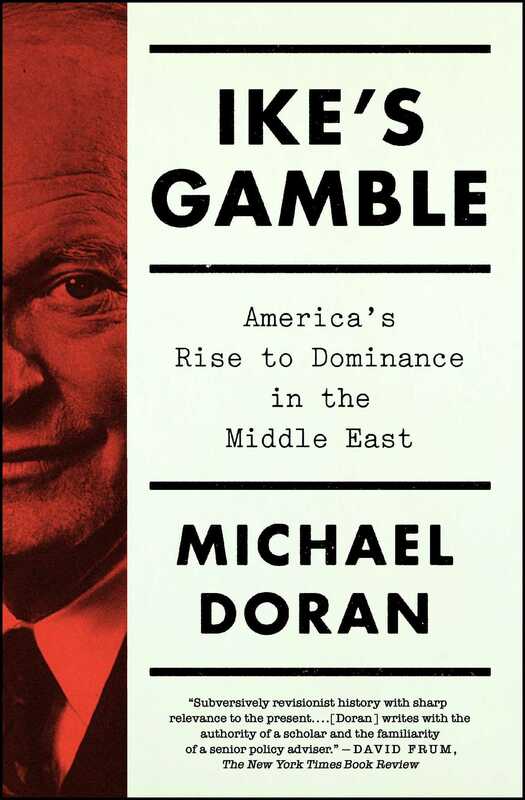 In Ike’s Gamble, “a disturbing history that clearly reveals the dangerous ‘collective American delusion’ about the Middle East” (Kirkus Reviews), Michael Doran shows how Nasser manipulated the US, invoking America’s opposition to European colonialism to drive a wedge between Eisenhower and two British Prime Ministers, Winston Churchill and Anthony Eden. Meanwhile, Nasser was making weapons deals with the USSR and destabilizing other Arab countries that the US had been courting. The Suez Crisis was his crowning triumph. In time, Eisenhower would conclude that Nasser had duped him, that the Arab countries were too fractious to anchor America’s interests in the Middle East, and that the US should turn instead to Israel. “This is a story that has been told many times, but seldom with the depth and stylistic elegance of Ike’s Gamble. Michael Doran does not just challenge the prevailing historiography, he turns it on its head” (The Weekly Standard). Affording deep insight into Eisenhower and his foreign policy, this fascinating and provocative history provides a rich new understanding of how the US became the power broker in the Middle East. The choice of subjects was impolite. It forced Truman to relive a bitter dispute that had placed him at loggerheads with some of the men around the table—George Marshall in particular. Back in May 1948, Marshall, then secretary of state, nearly resigned in protest over Truman’s intention to recognize Israel. In an especially heated exchange in the White House, Marshall accused the president of pandering to the Jewish vote, and of endangering U.S. national security as a result. If the United States did recognize Israel, Marshall said, then he would cast his vote against Truman in the upcoming election.2 The president, of course, did not follow his secretary of state’s advice, and Marshall somehow made his peace with it, but raw feelings persisted. After dinner, the argument continued, but Truman drifted away from the group, sat down at the piano, and began playing. When Churchill noticed, he instructed Colville to corral everyone around the piano. Truman performed for the group for about a quarter of an hour, and then made an exit, followed swiftly by Marshall. All the others remained behind, and the debate kicked up again, continuing uninterrupted until one in the morning. In sidelining his guest of honor, Churchill had not acted alone: an invisible accomplice helped him usher Truman out the door. Dwight D. Eisenhower, the president-elect, was spending the evening in New York, planning his new administration, but even from afar he managed to dominate the party. He had already tapped three of Churchill’s dinner guests for jobs in his administration. One of them, Walter Bedell Smith, the director of the CIA, had served as Ike’s chief of staff during the war. Churchill, who had been on familiar terms with “Beetle” for years, could confidently assume that he would enjoy easy access to the new president. Truman may have had two more weeks in the White House, but his power was already gone. Saying farewell was a good excuse for Churchill to come, but his true purpose was to begin influencing the new team, not to honor the old. Picking a fight was his way of doing it. Once Truman had gone off to bed, the argument focused on two main issues, the European Defense Community (EDC) and the Middle East. On the surface, the issues seemed utterly disconnected, but for Churchill they were two parts of the same challenge: persuading the Americans to accept his vision of the special relationship between Britain and the United States. In both Europe and the Middle East, he argued, the United States should put the alliance with Britain ahead of all other interests. His American guests, however, were not having any of it. In the Middle East, the primary threat to Churchill’s vision was the growing friendship between the United States and local nationalists. Particularly disturbing to Churchill was the warm attitude of the Americans toward Egypt’s young military rulers, who had toppled King Faruq in a bloodless coup on July 23, 1952. The Free Officers, as they called themselves, had come to power in the midst of a breakdown in Egyptian-British relations, and they were now publicly demanding nothing less than an immediate and unconditional evacuation of the 80,000 British forces who occupied the base along the Suez Canal. Outwardly, General Muhammad Naguib was in charge of the movement, but behind the scenes, a young colonel, Gamal Abdel Nasser, was the one truly calling the shots. Shortly after taking power, Nasser had quietly reached out to the Americans, whose welcoming response was unsettling to the British. The Americans believed that Egypt, as the largest and most influential Arab country, was the key to delivering the entire Arab world to the West in the Cold War. Moreover, they saw nationalists like the Free Officers as the wave of the future. This was not the first time on his trip that Churchill had encountered strong resistance to his message. Only the day before, in New York, he had held a series of meetings with Eisenhower himself. Hoping to build on their wartime association, Churchill described his notion of the special relationship and, in the process, floated the idea of an early bilateral conference. He was prepared, he said, to return to Washington two weeks after the inauguration. What better way for Eisenhower to jump-start his foreign policy than to remind the world of the wartime summit conferences that Churchill had conducted with Roosevelt and Truman? Eisenhower pretended to mull over the idea. He told Churchill that he certainly agreed that the two leaders should use their warm personal relations for mutual benefit, but on the specific question of whether to convene an early summit, he deferred to the man whom he had tapped to be the next secretary of state, John Foster Dulles. He suggested that the three of them—Eisenhower, Dulles, and Churchill—discuss the issue over dinner that night. Churchill left the meeting ecstatic. Eisenhower was entertaining his plan! Eisenhower’s reservations about Churchill’s ideas were well founded, and he was hardly alone in entertaining them. If there was anyone who shared his belief that the prime minister should make way for younger men, it was Anthony Eden, the British foreign secretary and Churchill’s heir apparent. Dapper and polished, Eden was known in his early days for his “Noel Coward glamour and style.”9 But he was also an experienced professional. He first became foreign secretary in late 1935, at the age of thirty-eight. After just two years in office, in February 1938, he clashed with Prime Minister Neville Chamberlain over British policy toward Mussolini and resigned. Six months later, when Chamberlain reached the Munich Agreement with Hitler, Eden took a stand against it, putting himself on the same side with Churchill, who soon became prime minister. In 1940, Eden again became foreign secretary, remaining in office at Churchill’s side for the next five years. Having managed the international relations of Britain during World War II, he was a seasoned diplomat, a highly experienced politician—certainly one who was prepared to become prime minister. But Churchill was not ready to quit. When the duo returned to power in 1951, they fell back into old patterns, with Churchill taking the lead on the issues that mattered to him—relations with America, first and foremost. On that score, Eden was often closer in spirit to Ike than to his own prime minister. In contrast to Churchill, who still believed in the British Empire, Eden was a modernist, believing, like Eisenhower, that it was important to find an accommodation with the rising generation of Middle Eastern nationalists. But agreeing with the Americans on general principles was one thing; devising policies that harmonized the interests of the two countries was another one altogether. Bond’s creator, Ian Fleming, was a personal friend of Anthony Eden, and he successfully channeled the emotions of the British elite into a satisfying myth. In the view of Eden and his colleagues, the British were hardly coming to the Americans cap in hand. Like James Bond, they were bankrupt, but they were placing uniquely valuable assets at the disposal of the United States. This, they believed, was especially true in the Middle East, where they brought to the table an established regional security system and years of deep experience in the region. The hub of their network was the base along the Suez Canal, which contained workshops, supply warehouses, and training grounds that serviced British forces not just in the Middle East but in East Africa as well. Britain also maintained bases in Aden, Iraq, Jordan, Cyprus, and Malta. The sheikhdoms of the Persian Gulf were protectorates, whose foreign relations were conducted entirely by a British official, “the Resident,” who sat in Bahrain. The commander of the Jordanian army, the Arab Legion, was British, as were most of his top commanders. Thanks to this informal empire, American strategic planners could confidently assume that, in the event of a war with the Soviet Union, the British would be prepared to take the lead in defending the region. Eden, then, hardly considered himself to be a beggar. And if ever there was an American president open to playing the role of Felix Leiter, it was Ike—or so Eden hoped. In 1945, the British made General Eisenhower an honorary citizen of London. The address that he delivered on the occasion is as moving an expression of Anglo-American unity as any American leader has penned. Eisenhower presented himself as a product of Abilene, Kansas, a place as distant as one could imagine from sophisticated London. Yet he and the Londoners were united by their common values. “To preserve his freedom of worship, his equality before the law, his liberty to speak and act as he sees fit . . . ,” Ike proclaimed, “the Londoner will fight! So will the citizen of Abilene!”12 His audience melted. In Ike’s view, the problem was not so simple. Churchill’s approach, he believed, would only benefit the Soviet Union. “Moscow leads many misguided people to believe that they can count on communist help to achieve and sustain nationalist ambitions.” It was vitally important, therefore, to avoid policies that made it seem as if the West, as a bloc, had set its face against nationalism. The implications for the James Bond strategy were dire. There was a “great danger,” Eisenhower wrote, “in the two most powerful free nations banding together to present their case in a ‘take it or leave it’ fashion.”14 Eisenhower was no Felix Leiter. But who was he, exactly? Eisenhower saw the United States as an honest broker—a mediator helping nationalists seek fair redress from the British. In no way idiosyncratic, this view of the American role was by far the dominant perspective in Washington—and it was a perspective that the American elite’s attitudes toward Israel strongly reinforced. Like Britain, Israel was a country inextricably linked to the United States but which also stirred up deep hostility among the Arabs. The desire to escape the stigma that American officials believed came from an association with the Jewish state led them to distance the United States from Israel and to establish the United States as a mediator between Arab nationalism and Zionism. It is impossible to exaggerate the impact that the image of America as an honest broker had on Eisenhower’s thought. Words like idea, concept, and strategy mischaracterize the nature of the vision. Terms like paradigm, worldview, or belief system are more apt. The notion that the top priority of the United States was to co-opt Arab nationalists by helping them extract concessions—within limits—from Britain and Israel was not open to debate. It was a view that shaped all other policy proposals. In fact, the concept was so pervasive that Eisenhower and his colleagues regarded it not as an intellectual construct but as a description of reality itself. This book examines the influence of the honest broker paradigm on American relations with the Arabs. It is a tale of Frankenstein’s monster, with the United States as the mad scientist and the new regime in Egypt as his uncontrollable creation. From among the young officers around General Naguib, Colonel Gamal Abdel Nasser would soon emerge publicly as the true leader of the Free Officers and as a charismatic figure in the wider Arab world. In keeping with the honest broker approach, Eisenhower identified him as a strategic partner, as the only leader capable of ushering in a new era of cooperation between all of the Arabs and the West. With this goal in mind, Eisenhower helped Nasser oust the British from Egypt. While doing so, he also allowed the CIA to equip Nasser with a powerful, state-of-the-art broadcasting system, which beamed his radical pan-Arab ideology, in all its anti-Western and anti-Zionist glory, into every Arab household. The Americans assisted Nasser in the expectation that, in the end, he would use this equipment to help unify the Arabs behind the United States in the Cold War. Instead, he gravitated toward the Soviet Union and worked assiduously to undermine the Western position in the Middle East. What went wrong? The literature on the question is vast, but a major theme runs through much of it. Eisenhower and Dulles, so the tale goes, came into office with the right ideas and good intentions, but, in the end, they followed in the footsteps of empire. Against their better angels, they alienated Nasser and, along with him, much of the rest of the Arab world; by the time that they realized their mistake, it was already too late. The precise cause of Nasser’s alienation differs from account to account—in some versions, a ham-fisted America undermines itself; in others, it is a belligerent Israel that drives Egypt into the arms of the Soviet Union. In still others, both factors conspire together. This book tells a different story. Imbued with the honest broker ethos, Eisenhower and Dulles prioritized the settlement of the Anglo-Egyptian and Arab-Israeli conflicts over all other issues—in order to eliminate the obstacles to strategic partnership with the Arabs. This approach suffered from a severe defect: it turned a blind eye to the conflicts between the regional, Muslim powers, and to the hegemonic aspirations of Egypt. Nasser used the American fixation on peacemaking as a means of deflecting the attention of Washington from his revolutionary pan-Arab program, which screamed about Zionism and imperialism, but which also sought to eliminate Arab rivals to regional leadership. It was the long-term impact of the 1956 Suez Crisis that finally brought home to Eisenhower the deficiencies of the honest broker approach. The crisis came to a head when Britain, France, and Israel attacked Egypt simultaneously. Eisenhower took a strong position against the three attackers, even going so far as to side with the Soviet Union against his allies in the United Nations. He believed that if the United States would publicly demonstrate firm opposition to the Europeans and the Israelis, it would receive a strategic payoff in the form of widespread Arab goodwill. But the payoff never came. Instead, Eisenhower handed Nasser yet another political victory—the greatest of his career. He helped transform the Egyptian leader into a pan-Arab hero of epic proportions. The consequences for the United States were profound. When Eisenhower took office in 1953, the Arab world was still tied to the West, thanks in no small measure to the continued influence of British and French imperialism. The Soviet Union had been successfully locked out of the region for three decades, and the American goal was to keep it out. By the end of his second term, however, a wave of revolution had swept the region. It did its greatest damage in Iraq, where revolutionaries, modeling themselves on Nasser, toppled the Hashemite monarchy. The new leaders quickly looked to Moscow for support, and the Middle East became a major arena of Cold War competition. In the aftermath of the Suez Crisis, as Eisenhower watched these results unfold, he discarded, once and for all, his fundamental assumptions about the Middle East. He no longer believed that helping the Arabs balance the power of the Israelis and the Europeans was the key to a successful regional strategy. In fact, he dispensed altogether with the notion of making policy toward the Arabs collectively. The key challenge before the United States, he now realized, was to manage inter-Arab conflict, to help one network of Arab states balance the power of a rival network. In later life, he expressed regret for having treated his allies so harshly at Suez, and he came to see Israel as a strategic asset. “History does not repeat itself but it often rhymes,” Mark Twain supposedly said. There is no period in twentieth-century Middle Eastern history that rhymes more powerfully with the present than the Eisenhower era. Today, as then, we are witnessing the fall of a discredited old order and the rise of something new. Transnational Islamist movements are shaking the region in a manner similar to Nasser’s pan-Arabism. While Nasser had Radio Cairo to spread his message, today’s revolutionaries have Facebook and Twitter. To be sure, there are also big differences. Vladimir Putin’s Russia might be a thorn in the side of the United States today, but it does not pose as grave a threat as the Soviet Union did, and there is certainly no contemporary Arab figure analogous to Nasser. The role that Egypt played in the international system in the 1950s is somewhat analogous to the role that Iran plays today, but the differences between the two are almost as great as the similarities. Nevertheless, many of the key questions that plagued Eisenhower continue to challenge us. Should Washington make policy toward Arab and Muslim public opinion generally, or should it focus on the narrow interests of specific elites? Is Israel a liability or an asset? In a region so riven with conflict, how much support does America owe its allies? Indeed, what criteria should the United States use to distinguish between allies and enemies? The story of Eisenhower’s relations with Nasser is nothing if not a lesson in the dangers of calibrating the distinction between ally and enemy incorrectly. Eisenhower was the first American president to formulate a comprehensive strategy for the Middle East, and he was one of the most sophisticated and experienced practitioners of international politics ever to reside in the White House. Thanks to his military experience, he was accustomed to reviewing his actions and assessing their effectiveness; when he made mistakes, he paused and thought deeply about them. The lessons he learned from the Suez Crisis were weighty, and they have an enduring quality. They may not provide us with a detailed route out of the Middle Eastern labyrinth today, but they will certainly make us wiser about how to negotiate it. 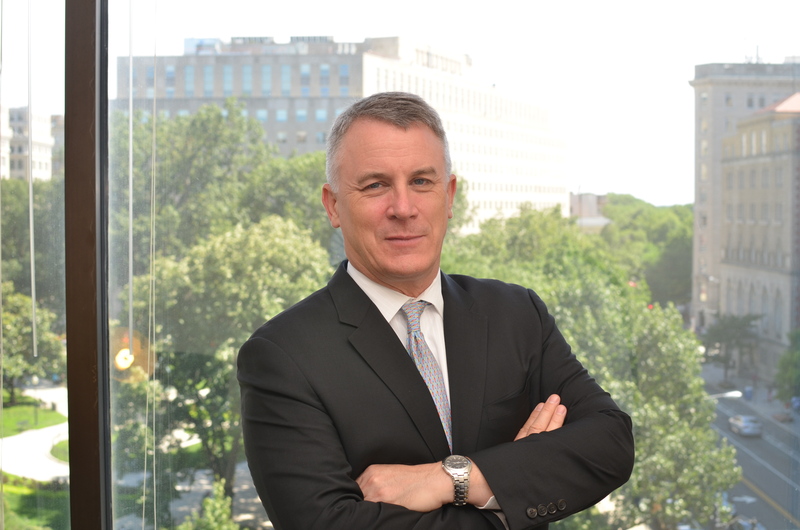 Michael Doran has served as a Middle East advisor in the White House and as a deputy assistant secretary of defense. An alumnus of Stanford and Princeton Universities, he has held several academic positions and is a senior fellow at the Hudson Institute, where he specializes in Middle East security issues. He lives in Washington, DC. "This is a story that has been told many times, but seldom with the depth and stylistic elegance of Ike's Gamble. Michael Doran does not just challenge the prevailing historiography, he turns it on its head." "A riveting account of President Dwight Eisenhower’s conduct in Middle East. . . . Superb."